Petts Wood is included in the coverage of the Fast Response Plumbers services. Our team of seasoned plumbers are familiar with the surrounding area and will know how to attend to your plumbing needs. Our Petts Wood Fast Response Plumbers team is available 24 hours a day, 7 days a week to look after any plumbing emergencies you may encounter. Emergencies such as blocked toilets, burst pipes, boiler breakdowns and other plumbing accidents can be dealt with swiftly and effectively by our team of highly trained experts. Our staff have the latest tools and skills needed to handle any situation that may arise. Once they arrive at the location of the emergency they will perform a detailed survey of the surrounding area and the plumbing to determine the best options. Once a solution has been found, work can immediately begin on the repairs. We come prepared, so we can repair your plumbing on the spot to leave your home plumbing system up and running within a short time. All work is guaranteed and there are no hidden charges or fees. 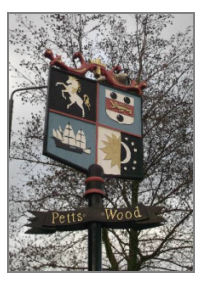 Our local Petts Wood team also provide complete central heating and gas repair services. Whether there is a problem with your boiler, pipes, gas system or water tanks, we will come prepared to tackle any problems you may run into. Should a complete redesign of your heating systems be required, Fast Response Plumbers will make the necessary arrangements to complete the operation. Alongside repairs and maintenance for existing heating and gas systems, we also offer installation and testing of new heating appliances. We are also able to provide full Gas Safe certificates and Gas Safe Cover for landlords. If you have any questions or inquiries regarding your heating or gas systems don’t hesitate to give us a call. As mentioned before we are available 24 hours a day 7 days a week. Whether you are experiencing plumbing difficulties in your home or office block you can always give us a call. It doesn’t matter if you are simply worried about a leaky sink or are suffering from a complete plumbing breakdown, we treat each and every customer with the highest quality of service. We are able to handle any blocked pipes, immersion services and leaks. Our staff receives continuous training so we are able to work on any type of plumbing system. No job is too big or too complex for our staff, give Fast Response Plumbers a call and we will take care of the rest. Petts Wood residents can be confident when facing blocked pipes and drains, knowing Fast Response Plumbers have them covered. Our local plumbing team will arrive at your location to unblock and restore the flow of water through your pipes to ensure your plumbing continues to work as it should. Should your pipes and/or drains need replacing, we will organise all the materials and make the necessary arrangements to quickly restore your plumbing.